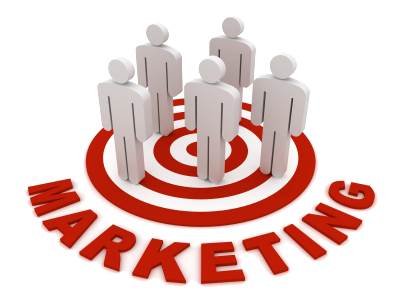 The marketing concept rests on the importance of customers to a firm. All company policies and activities should be aimed at satisfying customer needs while obtaining a profitable rather than maximum sales volume. Determine the needs of their customers (marketing research). Develop their competitive advantages (market strategy). Select specific markets to serve (targetmarketing). Determine how to satisfy those needs (marketing mix). Analyze how well they’ve served their customers, and then return to step 1 (marketing performance). The aim of market research is to find out who the customers are, what the customers want, where and when they want it. This research can also expose problems in the current product or service, and find areas for expansion of current services to fill customer demand. Market research should also encompass identifying trends that may affect sales and profit levels. Market research should give you more information, however, than just who your customers are. Use this information to determine matters such as your market share, the effectiveness of your advertising and promotions, and the response to new product developments that you have introduced into the market. One great need of small business managers is to understand and develop marketing programs for their products and services. Long term small business success depends on the ability to maintain a strong body of satisfied customers while continually increasing this body with new customers. Modern marketing programs build around the marketing concept, which directs managers to focus their efforts on identifying, satisfying, and following up the customer’s needs – all at a profit. With the research information gathered, the next step is to develop a market strategy. Use this information to determine areas where the competition doesn’t adequately fill consumer demand or areas where a new product or different product promotion would capture part of the market. A new business may capture a significant market share by aiming their market strategy on areas not focused on by the competition. As a new business can enter an industry and capture a share of the market, an established business can use the same strategies to increase their market share as well. 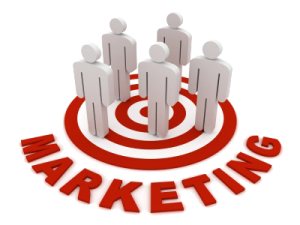 When the marketing strategy is developed, determine with which customer group this would be most effective. For example, a “better value for the money” may be more appealing to the “family” consumer group while a “wider distribution” would be more attractive to consumers who travel. Remember that different market strategies may appeal to different target markets. Therefore, apply the collected data to choose the combinations that will work best. The market is defined by different segments. Geographic: Specialize products to customers who live in certain neighborhoods or regions, or under particular climates. Demographic: Direct advertising to families, retired people, or to the occupation of consumers. Psychographic: Target promotion to the opinions or attitudes of the customers (political or religious, for example). Product benefits: Aim marketing to emphasize the benefits of the product or service that would appeal to consumers who buy for this reason in particular (low cost or easy access, for example). Previous customers: Identify and promote to those groups who have purchased the product before. Increase the market share? If so, by how much? Increase sales? If so, by how much? Sell remaining inventory to prepare for a new product line? After these objectives are established, determine a date for accomplishing the objective. 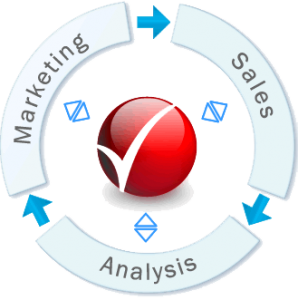 The marketing mix allows owner-managers to combine different marketing decision areas such as products and services, promotion and advertising, pricing, and place to construct an overall marketing program. Use the product or service itself as a marketing resource. Having something unique provides motivation behind advertising. While the ideas mentioned under market strategy apply here, another option is to change or modify the product or service. Additional attention may be given to a product if it has changed color, size, or style, while a service may draw similar attention by modifying the services provided. Remember sales and promotional opportunities are generated by product differentiation. With a marketing strategy and clear objectives outlined, use advertising to get the message out to customers. One element of advertising is promotional activities. These activities not only advertise, but they offer added incentive for customer patronage. 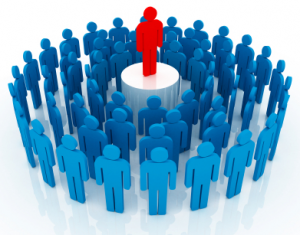 Try to reach the largest number of people with the money allocated to advertising and promotion. This may be accomplished by using several different methods of advertising. Remember to be creative and implement ideas. Determining price levels and pricing policies is the major factor affecting revenue. Factors such as the demand for the good, the market price, and customer responsiveness to price changes influence the price levels. Other factors such as a convenient location or more personalized service may allow a small business to charge a higher price. Make sure your price is competitive, however, by checking to see what competitors’ prices are. The manufacturer and wholesaler must decide how to distribute their products. 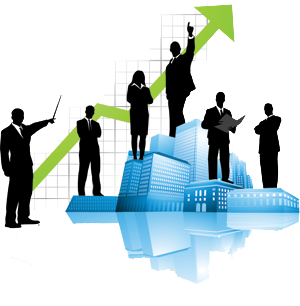 Working through established distributors or manufacturers’ agent generally is most feasible for small manufacturers. Small retailers should consider cost and traffic flow as two major factors in location site selection, especially since advertising and rent can be reciprocal. In other words, low-cost, low-customer traffic location means you must spend more on advertising to build traffic. The nature of the product or service also is important in locational decisions. If purchases are made largely on impulse (e.g., flavored popcorn), then high customer traffic and visibility are critical. On the other hand, location is less a concern for products or services that customers are willing to go out of their way to find (e.g., restaurant suppliers). The recent availability of highly segmented mailing lists (purchased from list brokers, magazines, or other companies) has enabled small businesses to operate anywhere – and serve national or international markets. After the marketing mix decision is implemented, the next step is to evaluate performance. With a detailed list of company objectives, monitor how well the decisions are developing. Market share. Has the increased share been captured? Sales Volume. Was the increase reached? Strategy. Did the combinations of target markets and strategy work effectively? Which ones didn’t? Did advertising efforts reach the target groups? Did customers respond to sales, coupons, or rebates? Is the company doing all it can to satisfy the customer? Do the employees make sure the customer’s needs are truly satisfied, leading to the vial repeat purchase and customer loyalty? Is it easy for customers to find what they want at a competitive price? If these objectives were not reached, what were the reasons? If they worked well, what elements were most effective? Assessing performance and asking for customer input brings us back around market research again. Your marketing plan is a continuous effort to identify and adapt to changes in markets, customer taste, and the economy for the success of your small business.